Britisher Adrian Sutton is the composer, producer, and principal instrumental performer of the music in the smash-hit, award-winning play War Horse, currently running at both The National Theatre of Great Britain and New York’s Vivian Beaumont Theatre, where it won a 2011 Drama Desk Special Award “for thrilling stagecraft.” His Walton- and Elgar- influenced orchestral music for the show won Sutton an Olivier nomination in London. Sutton spent most of his 1970s childhood in Rhodesia and then South Africa, returning to the United Kingdom at the age of seventeen. He earned a music degree at Goldsmiths College and spent many years collaborating with Chris Morris on numerous projects, including the award-winning Blue Jam radio series, the Jam television series, and a short film, My Wrongs 8245–8249 and 117, which won a BAFTA Award. He has frequently written music for commercials as well, notably for Nytol and the VW Golf. He also has had extensive experience as a post-production engineer in London’s Soho, resulting in a highly refined technical approach to his work. One of Adrian Sutton’s early ventures into dramatic music was a segment of an experimental “scratch” (or tryout) night at the Battersea Arts Centre in 2003, called Newsnight the Opera. The challenge was to take transcripts from highly dramatic newscasts and set them, verbatim, to music. Sutton drew the straw for the infamous 1997 interview of Michael Howard (leading Conservative politician) by anchorman Jeremy Paxman, in which Paxman asks the same question fourteen times over without getting a straight answer. Sutton had a huge success in 2005 at the National Theatre in London’s West End with his score to the stage adaptation of Jamila Gavin’s Whitbread Prize-winning novel Coram Boy, for which he received an Olivier nomination. This show transferred to Broadway in 2007. Also scored by Sutton and presented at the National Theatre were Thomas Middleton’s bloody Jacobean thriller The Revenger’s Tragedy (2008) and the apocalyptic fantasy Nation (November 2009). 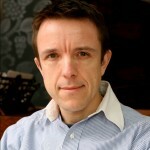 He has also provided scores for three feature films. War Horse came to the National Theatre in March 2009, since when it has proved to be the most successful show ever mounted by the company, loved by the Queen, the critics, and audiences alike. 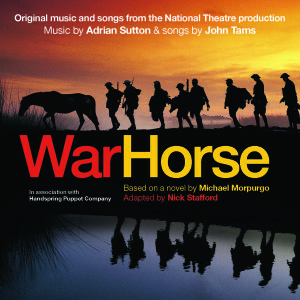 In June 2010 at London’s Cadogan Hall, the Royal Philharmonic Orchestra gave the premiere of Adrian Sutton’s War Horse Suite, a 20-minute symphonic work based on music from the show. The New York premiere of War Horse in April 2011 racked up a sweep of five Tony Awards® and a Drama Desk nomination. Further 2012 productions are scheduled for Toronto’s Princess of Wales Theatre in February and an American tour. Sutton, an accomplished violinist and violist, has performed on many of his projects, including War Horse and The Revenger’s Tragedy. He is a past member of the Westminster Philharmonic symphony orchestra and the Blaze Ensemble chamber group.